Todd Wells is a rider that needs no introduction to you ‘cross fans. With two cyclocross national championships and Euro ‘cross experience, Wells routinely rips it up with the best in the U.S., including his younger brother Troy, and typically beats most if not all of them. After ending a long-term sponsor relationship with GT, Wells found himself returning to his roots and a ride with Specialized this year. 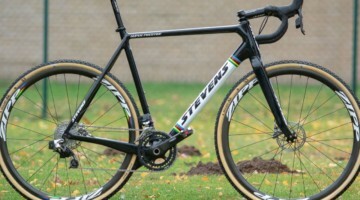 Wells has been working over the other veterans of ‘cross in the U.S. aboard the new Specialized S-Works Tricross Carbon. 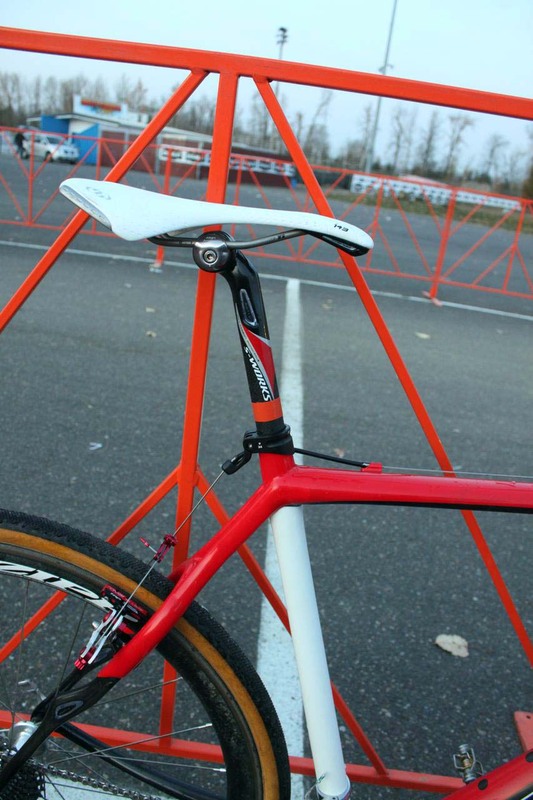 The frame is an all-carbon ride, including the matching S-Works carbon fork. 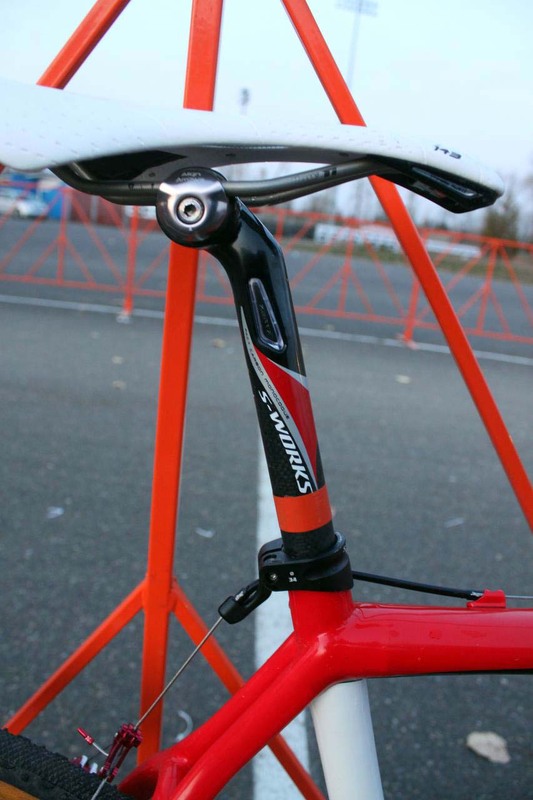 The frame, when compared to road models from Specialized, is designed with cross in mind. 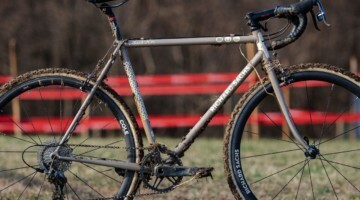 The chainstays are some of the longest around, giving much needed mud clearance. The slack head angle, combined with the increased fork rake and the long chainstays, provide a longer wheelbase than the road models. The longer wheelbase can provide additional stability and make the handling more predictable when things get sketchy. 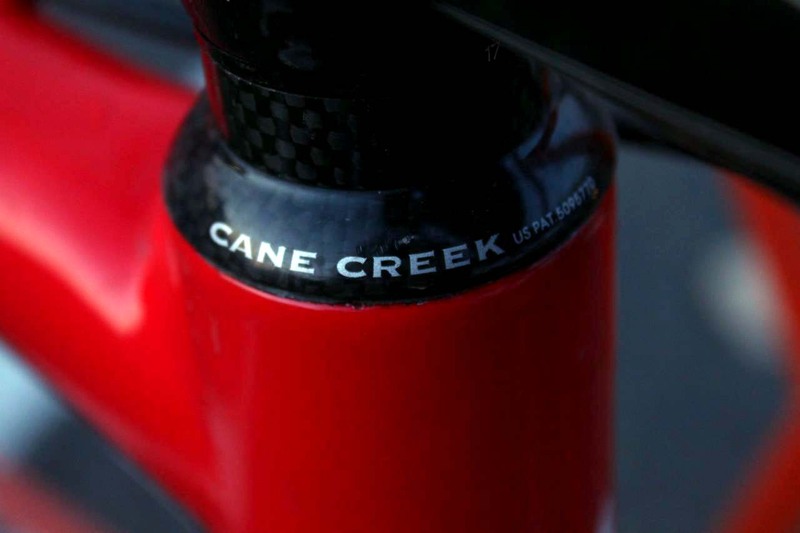 One of the unique features of Specialized carbon frames, including Wells’ Tricross, are the Zertz frame inserts. 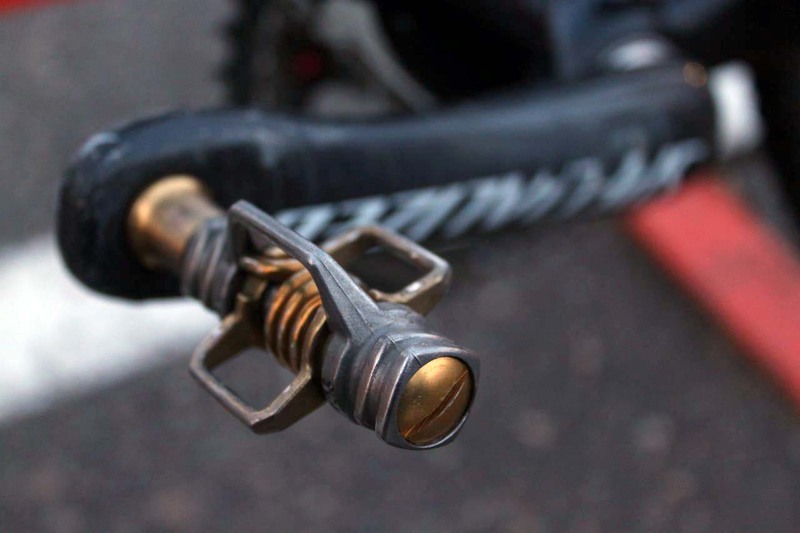 Developed by Specialized, the inserts, found in the fork and seatstays, are meant to dampen vibrations instead of passing them through the frame to the rider. 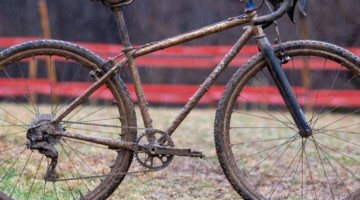 While some ‘cross riders will attest that frame vibration isn’t an issue on a rough cross course, Wells will take comfort where we can find it and told Cyclocross Magazine that the carbon frame is noticeably smoother than his previous aluminum bike. 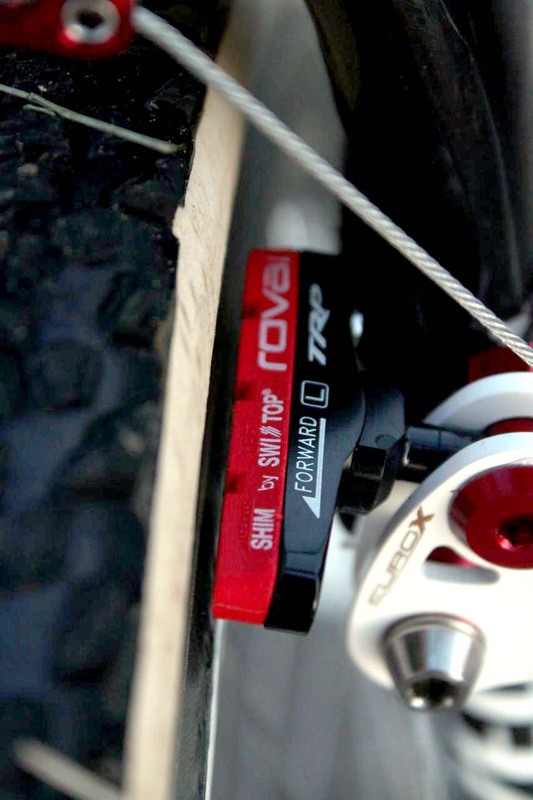 Slowing the bike, if there is a need, are TRP Euro-X Magnesium brakes. 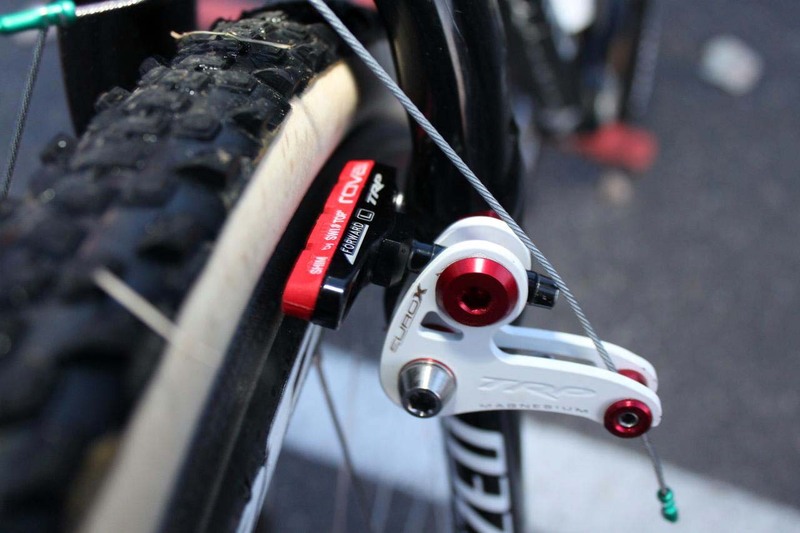 Wells runs the brakes with red Swiss Stoppads designed for Specialized’s own Roval wheelsets. 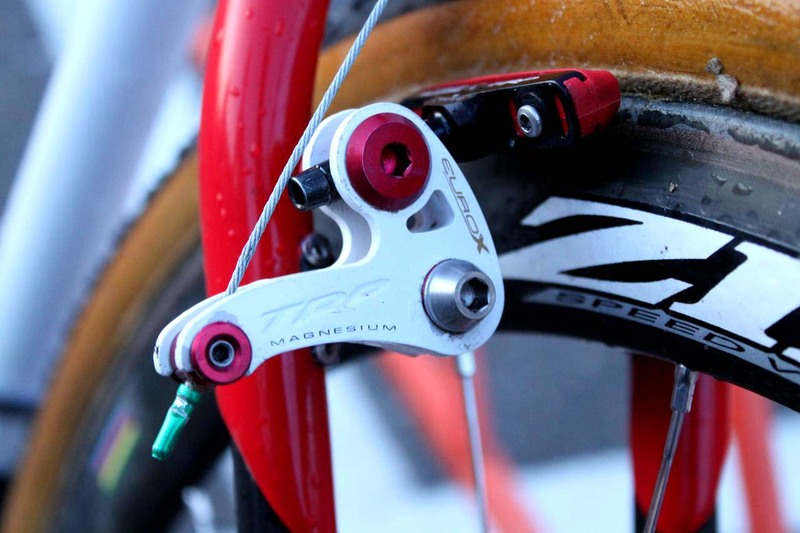 While Wells runs Zipp 303 Cyclocross wheels on his Tricross, he prefers the red pads over even the popular yellow Swisstops. 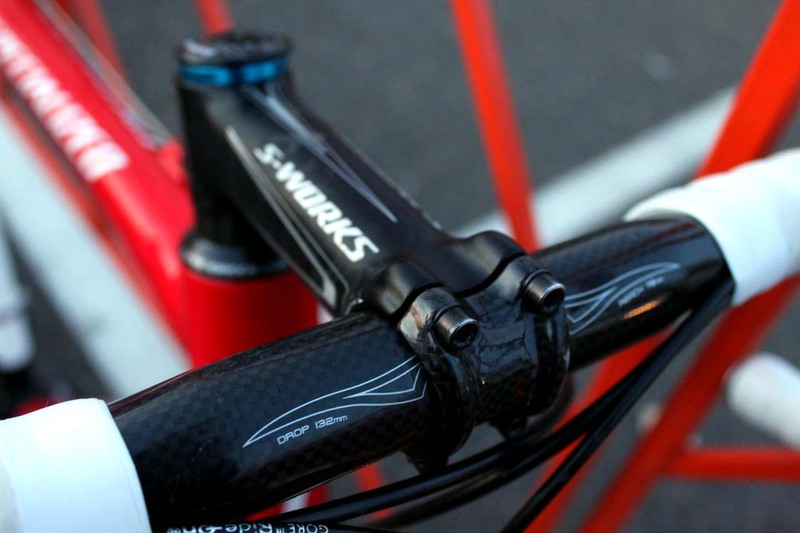 New for 2010 on the Specialized cross bikes is a fork mount front cable hanger to prevent teeth-breaking chatter. 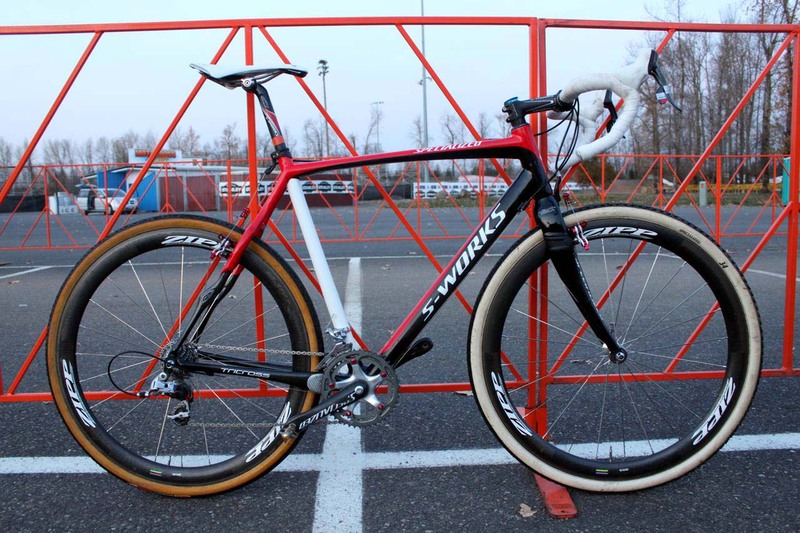 The component group on the bike is a combination of SRAM Red and Specialized S-Works components. 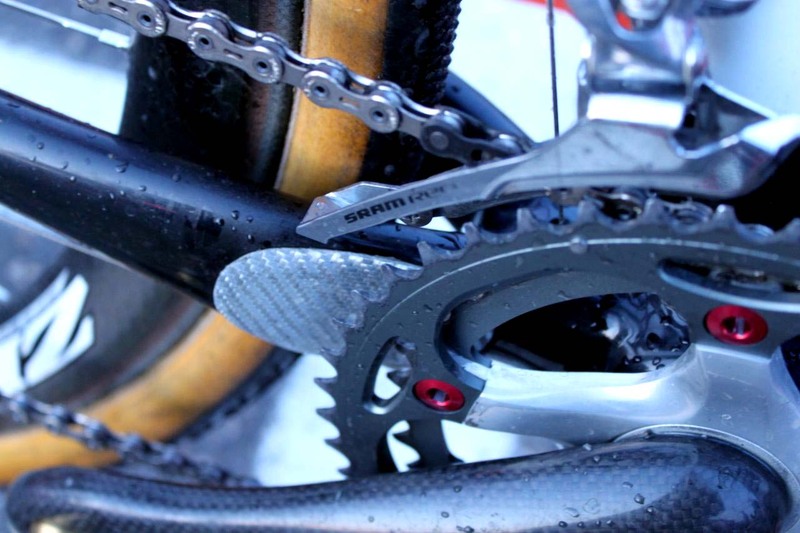 Specialized carbon cranks are mated to SRAM Red derailleurs and shifters. 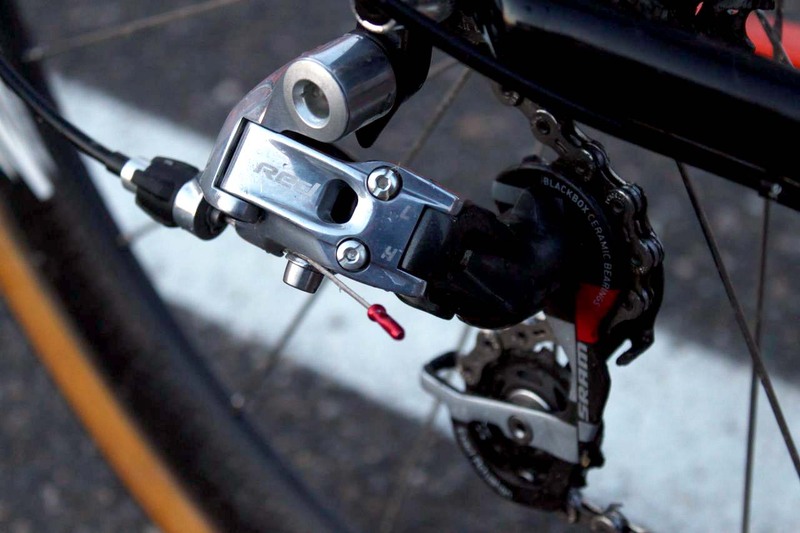 Like many pro ‘crossers, Wells is running a Red-stickered front derailleur, which appears to have the shape of a Force model cage. Like other pros, Wells appears to prefer the stiffer Force cage, even at the expense of the extra weight over the Red model. 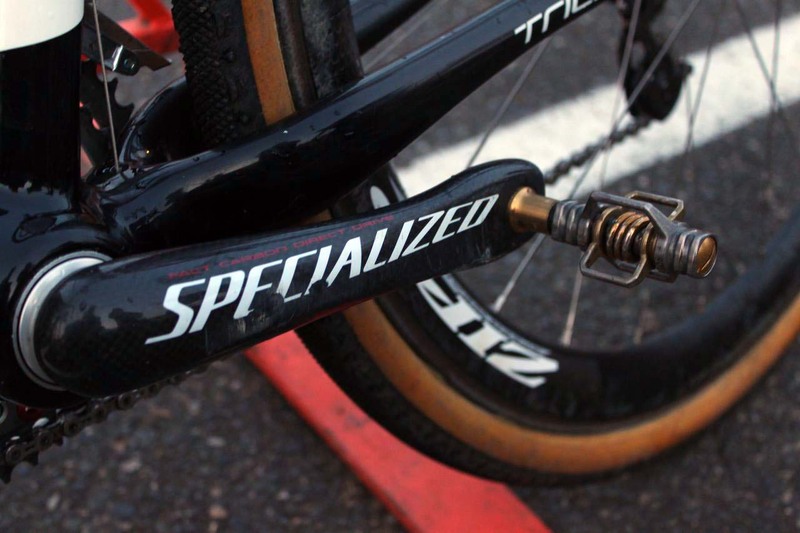 Specialized also supplies carbon goodies for the perch and the cockpit. 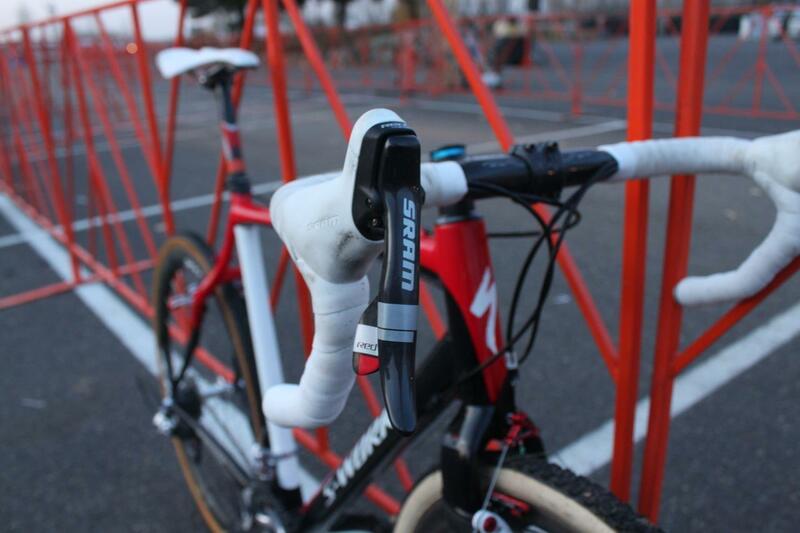 The handlebar, stem and seatpost are S-Works Carbon parts, while the saddle is a Specialized Toupe Gel. The pedals are Eggbeater 4ti from Crank Brothers, one of Wells other sponsors. 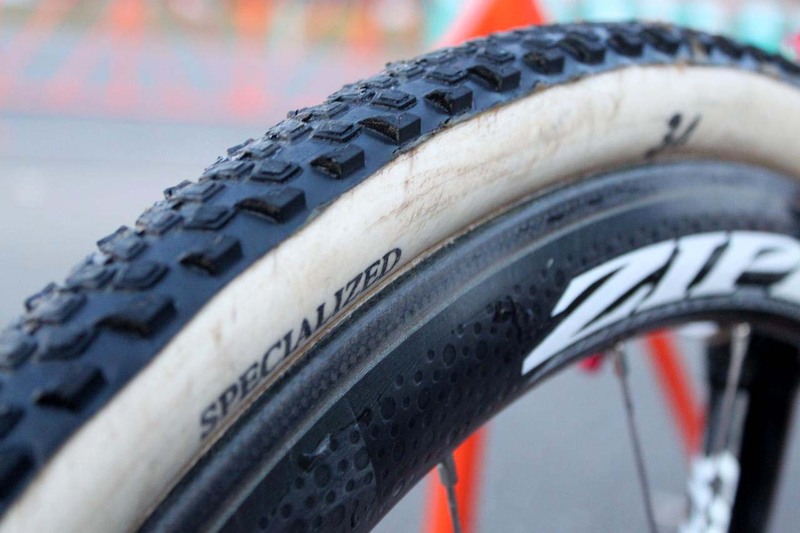 Wells turned to Zipp, another new this year sponsor, for the 303 Cyclocross carbon wheels. 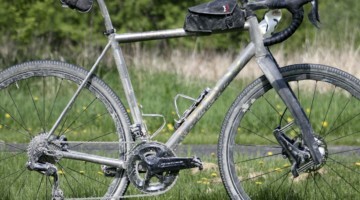 The tires wrapped around those hoops varied the couple of times that CXM saw the bike. 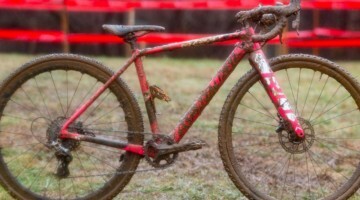 Wells had a matching set of Dugast Rhinos on each end for Saturday’s muddy USGP in Portland that he won, but on Sunday Wells turned to a Challenge Grifo XN file tread on the rear accompanied by a “prototype” tubular on the front. 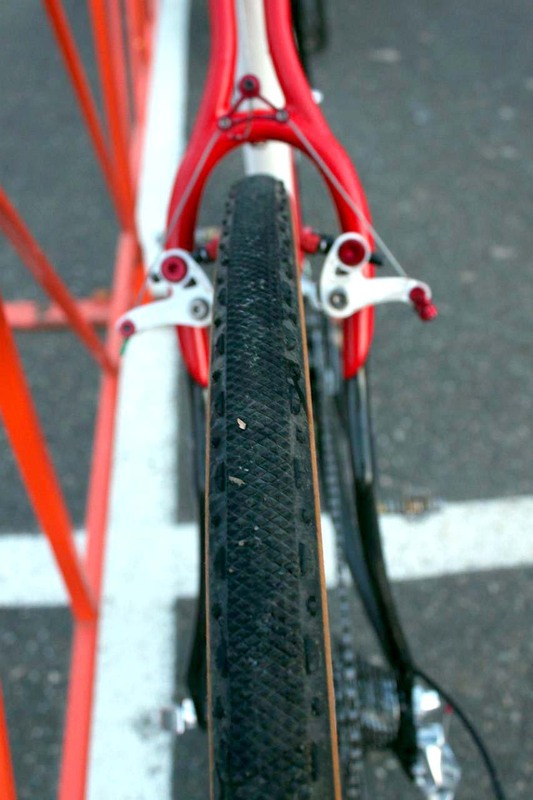 The front tire was a FMB-constructed tubular with Specialized tread that looked like a clipped or well-worn version of the new Captain clincher from Specialized. 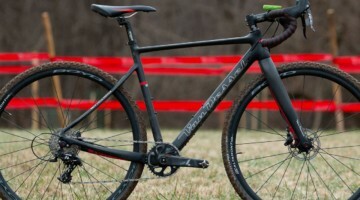 Is this a new model from Specialized, or simply a one-off pro only custom? Specialized coyly said that it was a prototype. 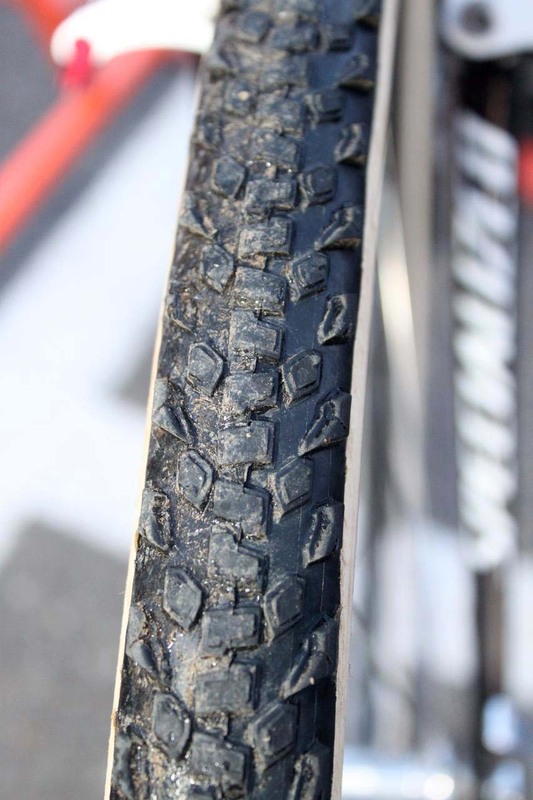 Still, the fact that Wells was running a modified version of his sponsor’s tread shows confidence in their product, as compared to many riders riding tires completely different from that of their sponsors.